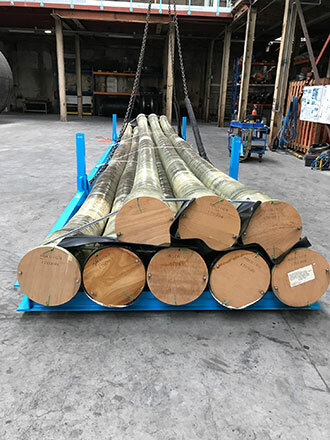 Yokohama Seaflex STS hoses | BARU Services B.V.
STS hoses are hoses that are used for the ship-to-ship transfer of crude oil and petroleum-based products. These hoses are often used in severe conditions, which results in hoses that deteriorate and become worn very quickly. By choosing a quality brand for your hoses, STS-operations will run faster, more reliable and safer. Therefore, Yokohama, a renowned Japanese producer of rubber products, has introduced Yokohama Seaflex STS hoses. These top-of-the-line STS hoses have the outstanding characteristics that are needed to provide safety and reliability in very demanding situations. As official supplier of the Yokohama brand, Baru Services can help you with the purchase of Seaflex STS hoses. Yokohama is well-known for their world-class pneumatic rubber fenders that protects ships during ship-to-ship operations. After consulting with many experienced captains, Seaflex STS hoses were designed with the requirements of these captains in mind. The result is another world-class product, which is designed in Japan and produced in Japan, Indonesia, or Italy, where the production is subjected to strict quality control. 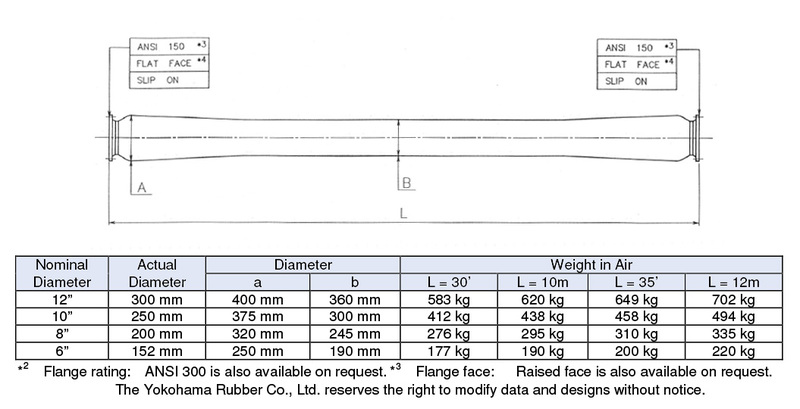 All Yokohama STS hoses are designed in accordance with the EN 1765 norm. Yokohama Seaflex STS hoses provide top performance when it comes to reliability and survivability, even in very rough conditions. The hoses have a helix wire free construction, which ensures that no permanent deformation will occur. 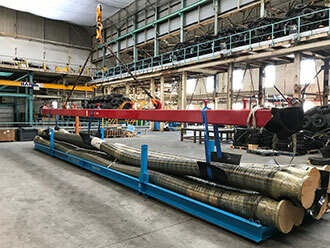 Even though temporary kinks and deformation might occur due to rough conditions and the slight vacuum that exists during operation. 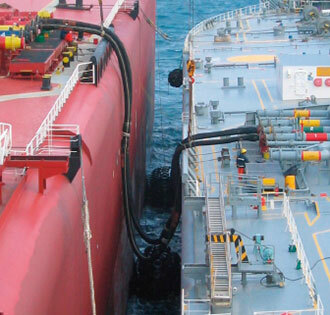 Furthermore, utmost safety during ship-to-ship transfers is guaranteed, because of the heavy-duty design that ensures a burst pressure that is a minimum of five times greater than the operating pressure of the system. Baru Services is specialized in Yokohama fenders and hoses. Feel free to contact us with regards to your specific needs. You can reach us by sending an e-mail to or by calling +31 168 32 31 32.